Making a bespoke or prototype plastic product can be a daunting task at times, and it can be especially tough to work out which plastic manufacturing method to choose to create your plastic product. However, if you’re looking to create a one-off product or you’re still refining your design, roto moulding is often by far and away the best choice – here are just a few reasons why! The size of the tools and the processes involved in roto moulding allows you to mould even large plastic products in a single, seamless piece. With other plastic manufacturing processes such as injection moulding, you might otherwise have to manufacture your product in several pieces, and assemble them afterwards. This can be time-consuming (not to mention more expensive! ), so rotomoulding allows you to eliminate these extra fabrication costs. Other plastic manufacturing processes such as injection moulding subject the plastic parts to extremely high pressures, in order to properly mould them. When you use rotomoulding on the other hand, the plastic parts involved don’t need to be engineered to withstand these high pressures, again saving you money and time when it comes to manufacturing. Rotomoulding is at its most economical in relatively short product runs of between 1 and 100 items, which makes it a perfect process for testing out a prototype. Other plastic manufacturing processes might need product batches that run into the triple figures to become economical (depending on the product involved, of course!). This means that you can use rotomoulding to create prototypes in a cost effective, timely manner, without undue worry about high investment costs. Since products created by roto moulding have no internal core, it allows changes to be easily made to an existing mould. This gives you more flexibility to refine the product over time, allowing you to get more out of your budget and saving you from having to spend the extra time and expense that other plastic manufacturing processes would normally demand. Another of the major advantages of rotomoulding is that it’s capable of creating products that are highly durable. Unlike products composed of multiple pieces – which are typically weak at their joints – roto moulding manufactures products as a single, seamless part, which means they have none of these stress points. This not only makes the product more durable to wear and tear, but depending on its usage, it can also greatly increase its operational lifespan, resulting in a better-value plastic product that’s more economical to produce. Here at Excelsior, we have decades of experience behind us in producing high-quality plastic products for our customers. 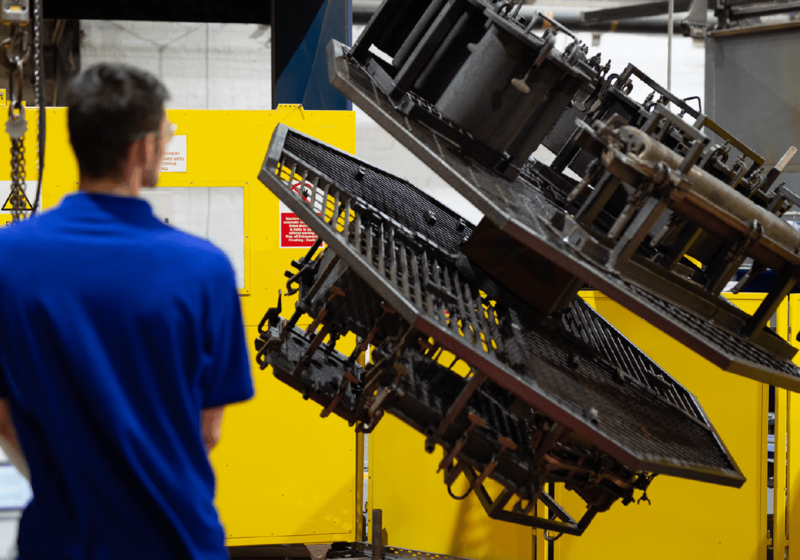 What’s more, we’re happy to put our expertise at your disposal wherever we can, helping you to iron out any remaining issues with the design or production. This is exactly what we did for recent customer BikeBox – you can click the link to find out more about what we did for them, or give us a call on 0161 765 2010 to find out how we can help!